Brake Motor is combination of an AC Induction Motor and Electromagnetic DC brake. DC supply is fed to the brake from a rectifier unit installed in the motor terminal box. The brake is disc type and is mounted on the motor shaft. The brake is ‘Fail proof Type’ i.e. brake comes into action and stops the driven equipment instantly when the power to the motor is switched off or / if power fails. The supply to the rectifier is fed from any two terminals of the main terminal box . Havells with its AEG technology, state-of- art plant and automatic processing can offer zero-defect Brake Motors in frames. 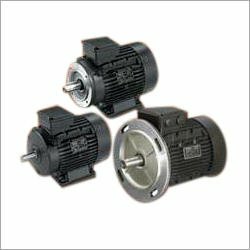 Brake Motors are used for numerous applications like Textile machinery, Machine Tools, Printing Machine, Cranes and Hoists, Material Handling Equipments, Leather Processing Machines, Cable Reeling Drums, Rolling Mills, Elevators, Conveyers.